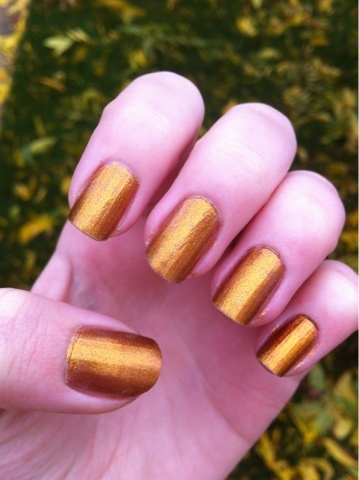 The nail polish I am wearing this week is a beautiful shimmery gold. It has a slight bronzy copper color to it. This is a wonderful Autumn and Holiday color. 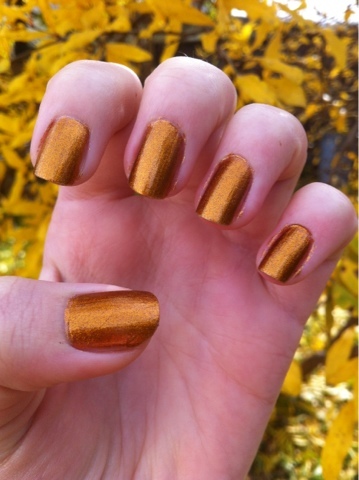 My friend even asked me to paint her nails this color for a Christmas party! It has only wore off slightly at the end of my nail. The downside is that I had to apply five coats to get the desired look that I wanted.